Marriage and family therapists work with families, couples, and individuals. Where a mental health therapist typically only works with an individual to overcome their personal mental health issues, a marriage family therapist adds a family centered perspective to the treatment that they provide, even if it is just for an individual. The marriage family therapist will evaluate the roles of each family member and work with the individual members of the family to understand how the family setting may be affecting their mental health. There are certain requirements that must be met in order to become a licensed marriage family therapist in the state of Alaska. There are certain education requirements that a person must meet in order to become licensed in the state of Alaska as a marriage family therapist. A person must obtain a master’s degree or doctoral degree from a program that has been approved by the state. 12 quarter hours, nine semester hours, or three courses in marital and family therapy theory. 12 quarter hours, nine semester hours, or three courses in marital and family studies. 4 quarter hours, three semester hours, or one course in professional ethics and law or professional studies. If the program that you completed your degree in does not include all of the required courses and clinical practice a person may substitute post degree practice or courses to meet the requirements. This is subject to board approval. 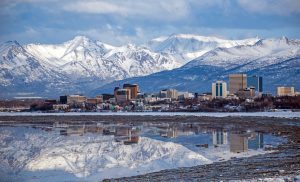 Read about MFT degrees in Alaska. In addition to the education requirements there are certain experience requirements that must be met as well. A person must verify that they have practiced marriage family therapy within the three years prior to applying for their license. This must include 1500 hours of direct clinical contact with families and couples. At least 200 hours must be supervised, including at least 100 hours of individual supervision and 100 hours of group supervision. This must be approved by the board. The applicant must also provide verification showing that they have had at least six contact hours of training that is related to domestic violence. Documentation that the applicant has received this training can come in the form of a postgraduate course given by an academic institution that is regionally accredited, courses offered by the Alaska or American Association of Marital and Family Therapy, or seminars, mini-courses, or workshops that are offered in the fields of law, behavioral sciences, medicine, ethics, and other disciplines. There is expected to be a larger than average job growth in the field of mental health counseling and marriage family therapy. The projected growth rate for marriage family therapists is 41% from 2010 through 2020. The main reason for this increase in the number of marriage family therapist jobs is that more insurance companies are projected to cover the cost of these services. The growing population will also have an effect on the number of careers in this field that are available. As of May, 2012 there were 120 marriage family therapists in the state of Alaska. The annual mean wage for those working in this field in the state of Alaska was $48,040. Overall, the national mean wage for marriage family therapist was $45,720. Mental health counselors in general earned an average wage of $38,150.